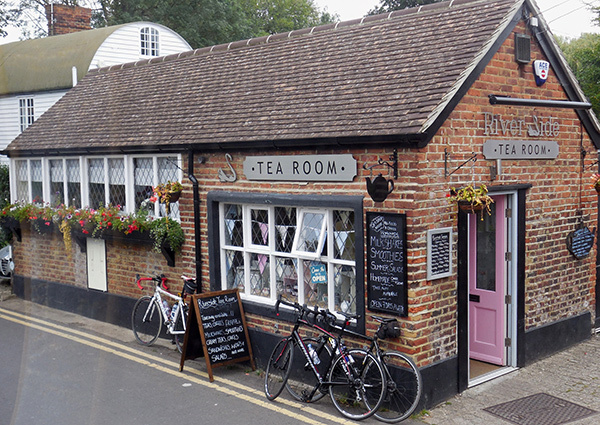 Eynsford’s little pocket of happiness. At Riverside Tearoom we serve the very best quality fresh food and drinks in a quaint and relaxing riverside setting overlooking the village ford. Here you can enjoy genuine, home-made food prepared in our kitchen and sample some of the world’s finest hand-filtered coffees and speciality teas. We’re located in the heart of the Darenth Valley, surrounded by picture-perfect rolling hills and lavender farms – the inspiration behind the sensory experience within. More than the average tearoom, you’ll discover an environment full of sights, smells and sounds that will cocoon you from the outside world and whisk you away to a world of calm.